I love blogging. I have blogged for years and have used blogging as a classroom tool for years. I have even blogged about blogging (see Why Blog? and Why My Students Must Blog). For myself and for my students, blogging is a reflection tool as well as a tool to share what we are thinking, learning, and doing with either our community or the greater world. Some of my professional writing students publish blogs as their culminating project – and even choose to maintain those blogs after the class is over. My newest blogging challenge is to write a collaborative blog post with Renee Boss for theNational Blogging Collaborative. We have only begun our collaboration, but it is an interesting experience so far. 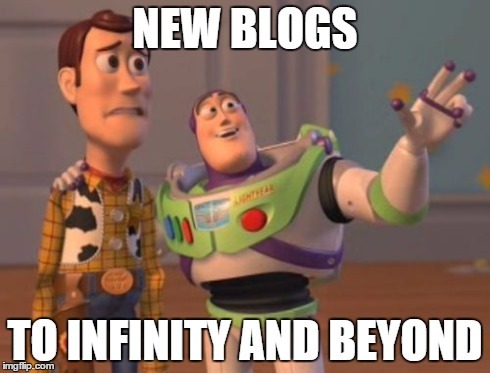 As a result I have been thinking about blogging a lot lately and wondered why other teachers blog and want their students to blog, so I decided to dedicate this week’s Notable Notes to blogging (in and about the classroom). George Couros argues that blogging is an important way to improve our teaching by growing as humans and educators, but also as great forums for important conversations about teaching. He explains this and more in “…and this is why teachers should have blogs,” citing education gurus Pernille Ripp and Dean Shareski along the way. He notes: “We need to continuously work to create the culture and environment where sharing is the norm and learning is transparent.” Blogging is a great tool for this supportive, collaborative, transparent world. Steve Wheeler’s blog post “Seven reasons teachers should blog” also highlights the effectiveness of blogging as a tool for reflection and helping you improve as a teacher. Perhaps the best argument for teacher blogging comes from the Teach Paperless blog post “Why Teachers Should Blog” which argues “to blog is to teach yourself what you think.” I love that idea and I believe that is why I blog and require my students to blog. It is reflection, but so much more. I have always believed I don’t know what I think about something until I write about it and blogging requires me, challenges me, to do so on a regular basis. Not only is this important for teachers, but it is also important for students. This is the argument that Hanna Shekhter frames in her Edudemic blog post “Why Teachers and Students Should Blog.” She notes that blogging enhances multiple literacies as well as learning on many levels. Pernille Ripp has blogged frequently about the benefits of student blogging multiple times (here is a Student Blogging roundup on her blog) and her reasons for student blogging echo many of my own – giving students a voice and an audience and a purpose. Liz Myers has “21 Reasons Why Students Should Blog” and she brings up an important point we have missed up to now – blogging is fun! At least if you do it right. The idea of blogging as fun was also echoed by Anne Mirtschin in her “20 reasons why students should blog” post. And one last list in support of student blogging from Susan Lucille Davis in “10 Reasons Why I Want My Students to Blog.” I love her discussion that blogs encourage students to participate in civil discourse and engage the world. Why do you blog? Why do your students blog? Why should teachers and students blog?